If you do not live in the UK and cannot attend, listen online right here on this website. This is a FREE event. Books are sold in their thousands over this weekend, and that aids to fund this major event, so come prepared to take a small library home with you! Our usual turnout is over 3,000 guests. Please donate through this site (by PayPal) to help fund this event so we can cover its costs or phone 01217730003 and donate by Debit Card – and jazāhumullāhu khairan! Any questions or queries, call us on 01217730033 and ask for any of the following brothers: Abu Maryam, Awzān and Abdullāh. Invite friends, family, colleagues, people you know through WhatsApp groups, Facebook and Twitter! 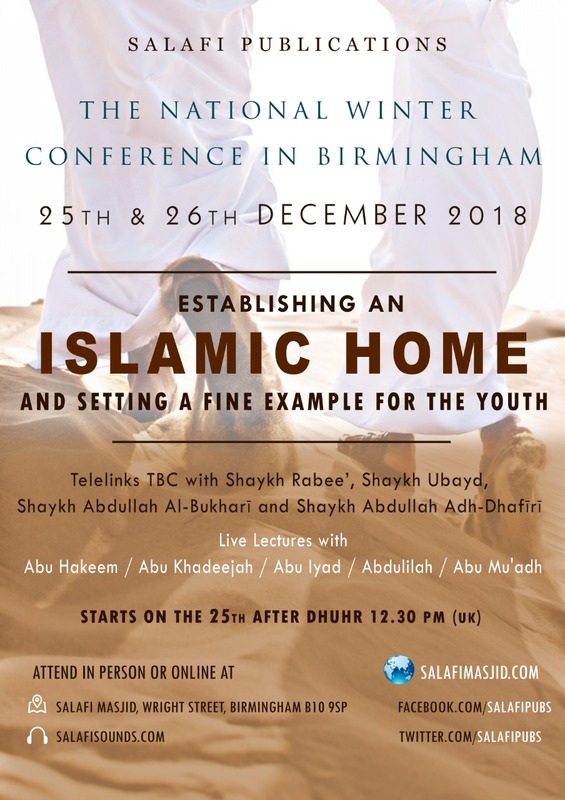 A family-friendly Birmingham hotel near the airport with breakfast included and a 10-minute drive to the Salafi Masjid. Holiday Inn Express® Birmingham – South A45 hotel offers 83 spacious rooms just off the A45, a major road through the scenic Midlands. Book now before the rooms run out!